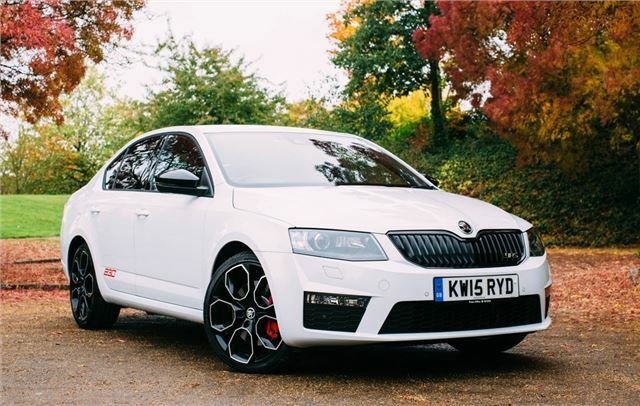 It's been 15 years since the first Octavia vRS made an appearance in the UK and Skoda's image has changed massively in that time. Much of that has been down to the vRS brand. It's success tells it's own story - today 1 in every 5 Octavia models sold in the UK is a vRS. Much of this popularity is down to its blend of ride comfort, everyday practicality and strong performance. 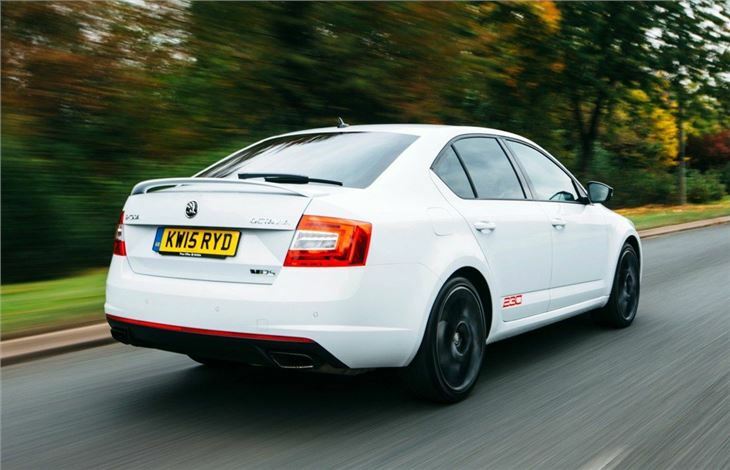 Skoda has always resisted going down the high powered route with the Octavia vRS. Despite boasting 220PS as standard we've always stopped short of labelling it a 'hot hatch'. It's much more than that. 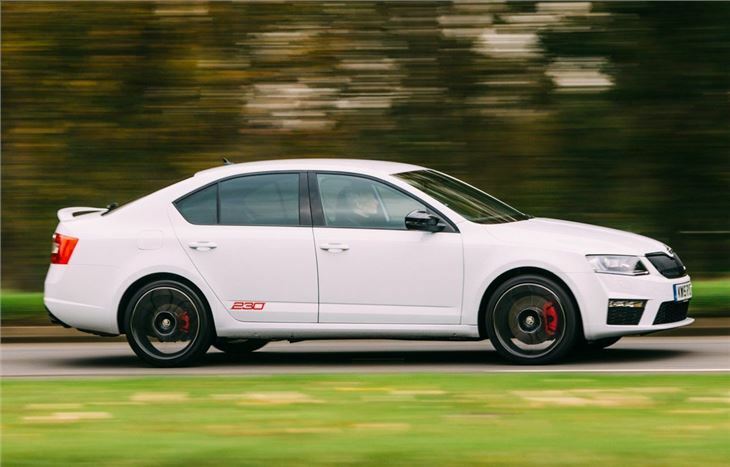 True it may not have the raw edge of a Focus ST or the engaging handling of a Civic Type-R, but the Octavia vRS is an outstanding all-rounder. Plus many owners appreciate the more understated styling. But has Skoda finally been bitten by the power bug with this vRS? Well not quite. 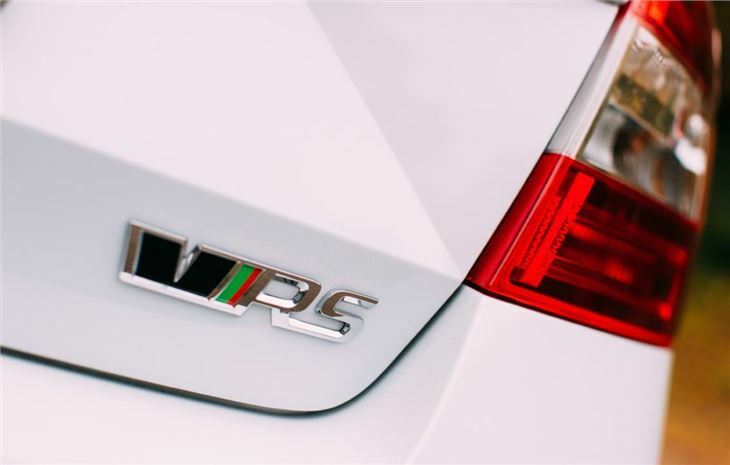 As its name suggest, the vRS 230 only gets an extra 10PS over the standard car. 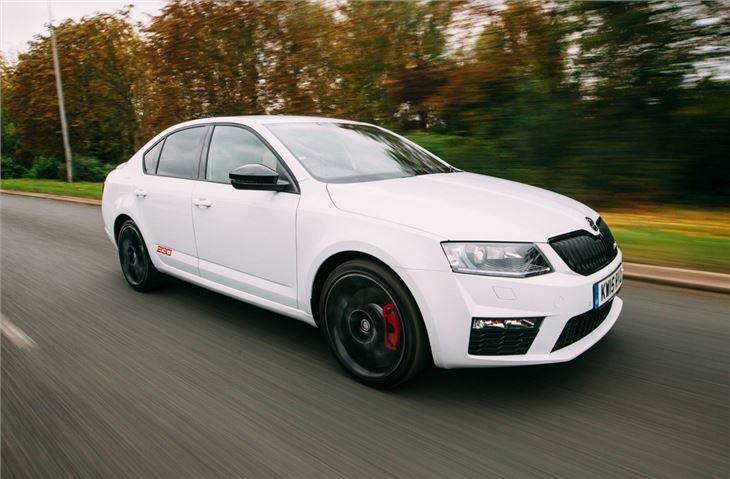 That's enough to make this the most powerful car to ever wear the vRS badge - but in the world of performance hatchbacks, it's pretty ordinary. The latest Civic Type R boasts 300PS remember. What the vRS 230 does get is a new electromechanical front locking differential. 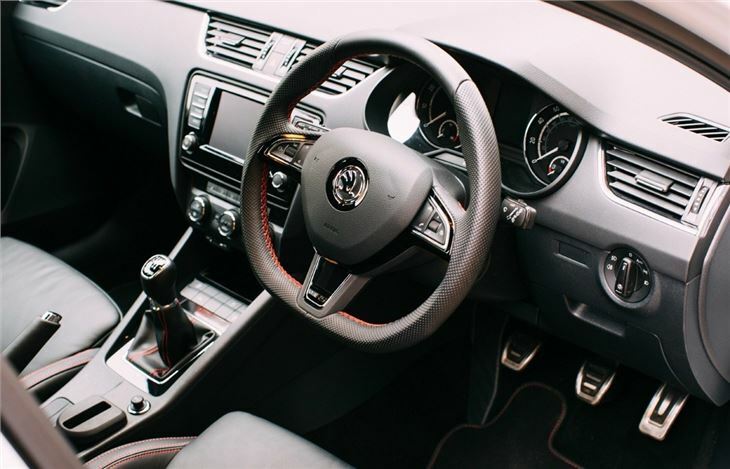 It's the same system used on the Volkswagen Golf GTI Performance - a car which the vRS 230 basically mirrors. This diff can direct 100 per cent of the engine torque to either front wheel if needed. The idea being that it gives you more traction when exiting a slow corner. To make it stand out, the vRS 230 gets the 19-inch Xtreme alloy wheels (in black rather than the grey available with the normal vRS) plus black mirrors caps, grille and roof rails. This is of course available on the standard vRS as the Black Design Package plus for an extra £800. Those in the know will also spot the black exhausts and the black 'v' on the vRS badge rather than the standard grey. All that does help to justify the increase in price, with the vRS 230 costing £26,350 for the hatch and a further £1200 for the Estate. It's still good value against the competition too, especially the estate which has few natural competitors aside from the Ford Focus ST. If you want the best the vRS has to offer - this is it.